This time of year I find that I indulge a little too much in festive treats and comfort food. I’m not sure whether it’s the martinis that are festive and the mashed potatoes comforting – or the other way around. In any case I do like to ease up a bit and have some meals that are a little lighter and less intense then a bowl full of mash. I have always had a fondness for Vermicelli or Angel Hair Pasta as it is known across the pond and this recipe sounded too good not to try. The recipe I based this on is by Kyle Phillips and I found it on About.com. It is a real winner and I feel it works perfectly on a cold winters day. It brings a little bit of sunshine to your dinner plate. 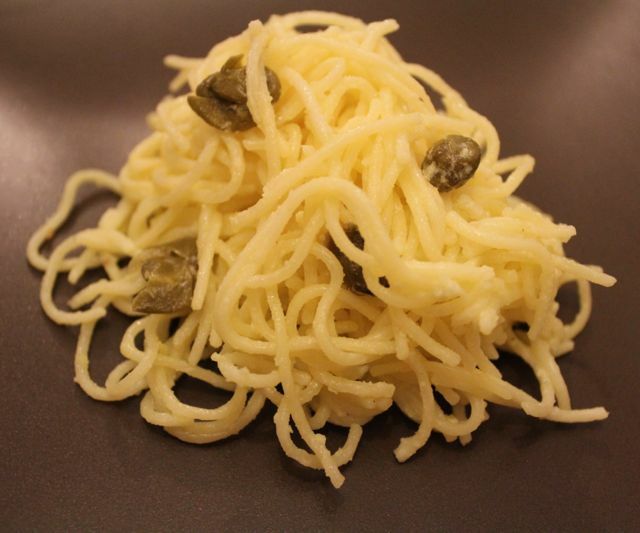 I pretty much followed the recipe but I didn’t remove the garlic from the cream (and I used a lot more garlic – I am after all a garlic-oholic) and at the end I added a Tbsp or so of capers. Yummy! Get stuck in and enjoy with a side of garlic bread! We are up to our ears in tomatoes and we love it! At the start of April we bought tomato seedlings in the hopes we would have the pleasure of a few homegrown tomatoes over the summer. Last year’s efforts were a bit grim so our expectations were not high. I am delighted to report that this has been the best tomato harvest we have ever had in the 3 years of growing our own. 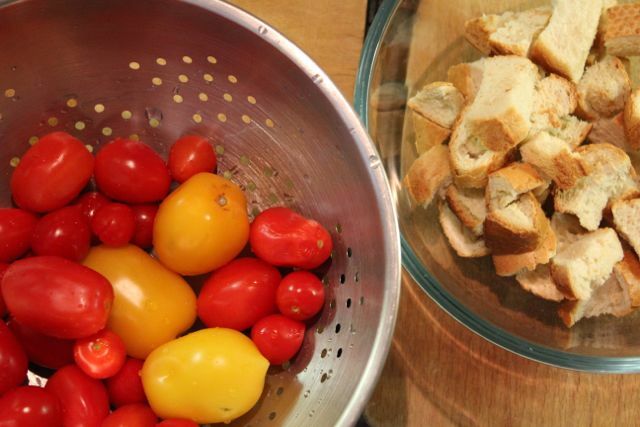 Panzanella is a wonderful way to use up stale bread and hi-light the beautiful flavour of fresh tomatoes – preferably picked straight off the vine! We have a fantastic selection of tomatoes including Roma, Citrina, Sungold and Green Zebra. Nothing hits the spot like a freshly made salad full of Mediterranean flavours and tomatoes you have grown yourself. 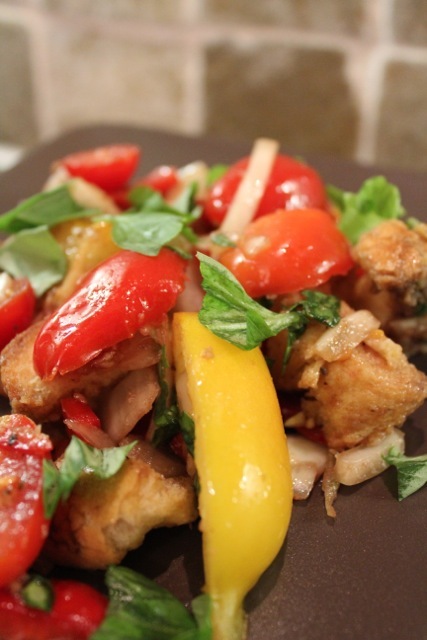 Normally panzanella uses stale bread but if you don’t have any on hand you can always use fresh. 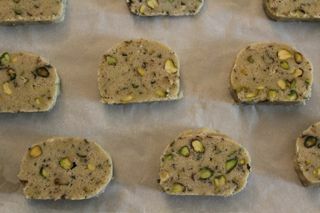 Just cut it into bite-sized chunks and place on a baking tray in a low temperature oven. You don’t want to toast the bread – just dry it out a little. 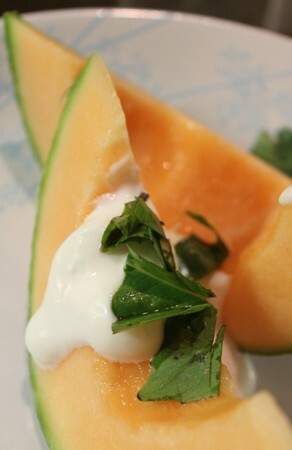 Here is my recipe for summer in a bowl. Just over a year ago my husband and I were in Queensland, Australia visiting my parents. We had a wonderful time drinking martinis while watching Huey’s Kitchen, going for long (slightly scary) walks in National Parks and making the most of local farmer’s markets and food fairs. It was at one of these food fairs that I bought a selection of Australian spices. The Oz Tukka pack contains Wattle Seed, Tasmanian Pepper Leaf, Artesian Salt, Lemon Myrtle and Bush Tomato. Lots of great spices to have fun and experiment with. Of all the spices the bush tomato was one I really fell in love with. It is similar in taste to caramelized sun dried tomatoes which you can use in substitution if you’re unable to get ahold of bush tomato. 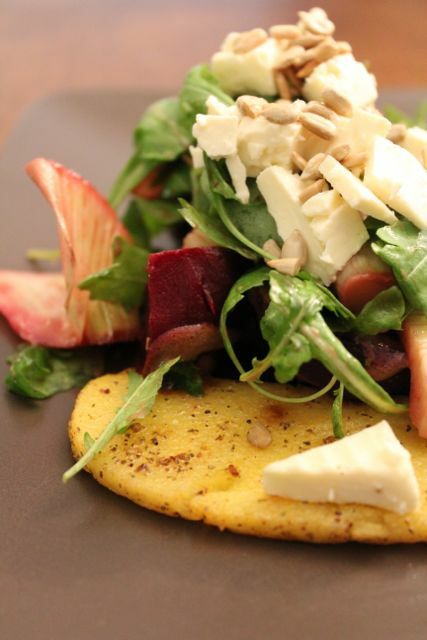 The spice pack came with some great recipe ideas and so far this salad has been one of our favourites. It is perfect as a starter or light lunch / dinner. 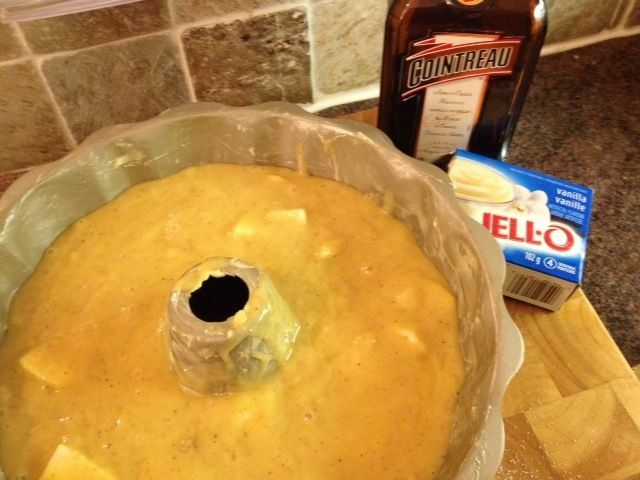 The flavours blend really well together and despite all the different components it is quite simple to make. The recipe serves 6 people but I made this for the 2 of us and it was plenty for a hearty and healthy dinner. Here is the original Oz Tukka recipe. 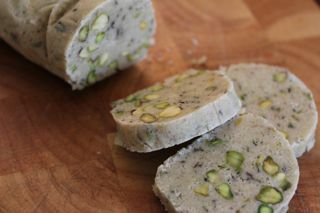 If you’re interested in more recipes and information please visit the Oz Tukka website. Many thanks to my husband Paul who took such a lovely photo! Back at the end of April my husband and I took a trip to West Malling Kent to walk around Manor Country Park and visit the local farmers market. While strolling through the lovely little streets we spotted a plant sale. We were on the look out for tomato plants but it was the runner bean seedlings that caught our eye. There were only 4 left so we bought the lot! They cost us a whopping £2.40. Not a bad considering we are already on our 4th crop of runner beans. As it was our wedding anniversary a few weeks ago I wanted to make a really special meal. I sautéed the runner beans in butter and added some minced garlic and lemon thyme from our garden. 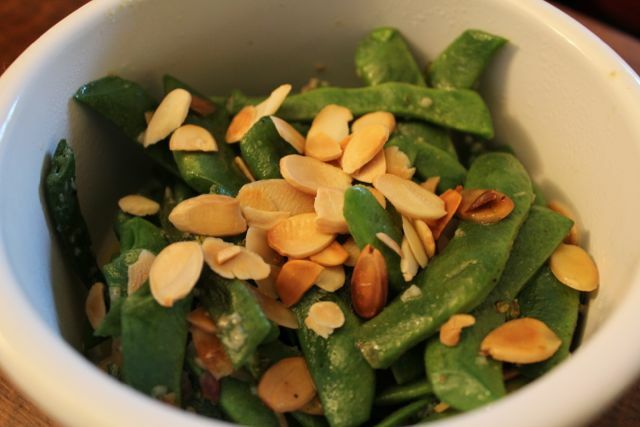 I added toasted flaked almonds toward the end of cooking and sprinkled a few on top just before serving. We had this as a side to dish to grilled fillet steak and a jacket potato. 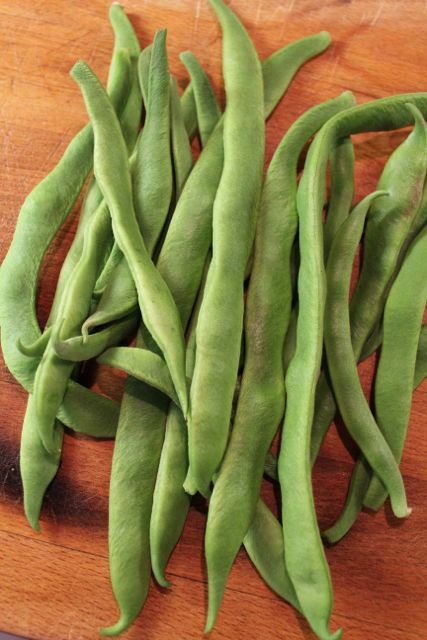 NOTE: I learned something very important about runner beans (and all beans in general) I had no idea that they should NEVER BE EATEN RAW. Thanks to this very informative post I have put an end to my practice of nibbling the beans straight from the vine. Always always cook your beans! They contain a poisonous lectin called Phytohaemagglutinin which can cause nausea, vomiting, severe diarrhea and in some cases even affect blood pressure and breathing. 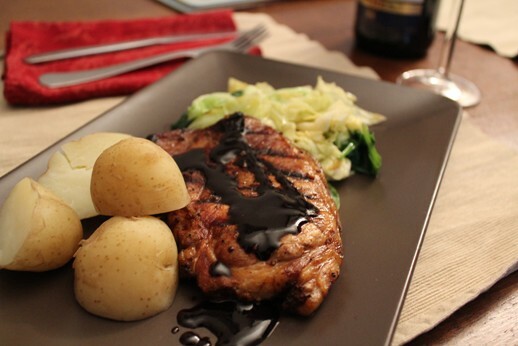 Pork chops and applesauce certainly are ‘swell’ – they are a classic combination after all. The two go together like peanut butter and jam, bacon and eggs or strawberries and cream. Last night I decided to put the applesauce to one side and try a different approach to pork chops. 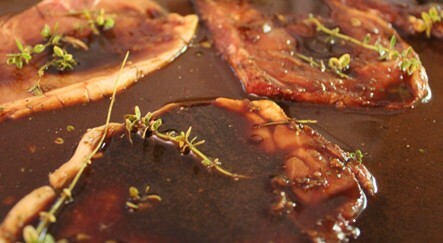 Over the past few months my eye had been drawn to several recipes for pork chops with a coffee-molasses marinade. There was a half empty jar of molasses kicking around so I thought, why not? I was missing some of the ingredients so a few substitutions needed to be made. I don’t think this affected the final outcome of the dish – it was delicious! Peter Brady would approve. In fact he may have even called it… ‘swell’. 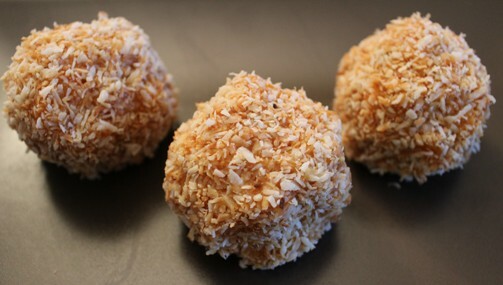 Here is the recipe I used from the Taste of Home website. We served these with boiled new potatoes and butter braised Savoy cabbage. Halwa is a popular sweet across India, the Middle East, North Africa and Eastern Europe. There are different types of halwa. Some use flour or nut butters as a base but my all time favourite are the halwa that use carrots, pumpkins or yams (sweet potato). Over the weekend I was looking for something to accompany my large mug of tea and decided it was time to try Gordon Ramsay’s recipe for carrot and coconut halwa. It ended up being a bit more labour intensive for me then I would have liked for a Sunday afternoon but as I sit here tucking into my 3rd halwa of the day I am delighted I made the effort. Once the grating is done the recipe is easy but you do need time to let everything cook down. My timing was off somewhere as it took me almost triple the amount of time and still the liquid hadn’t completely evaporated. It hasn’t affected the taste or texture of the halwa though so I must have done something right. If you have never tried halwa please do give it a try. It really is a wonderful delicacy and with all those carrots it has to be good for you! If you don’t have a copy of Gordon Ramsay’s World Kitchen I highly recommend it. There are a wide variety of inspirational dishes from around the world. 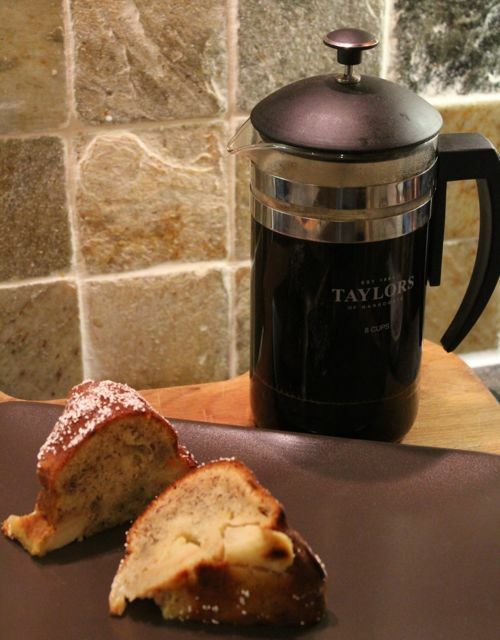 The photos by Chris Terry are stunning and the recipes are easy to follow. In May I went a bit crazy at the Detling Garden Show and bought a load of plants. I am happy to report they are all thriving despite the ever present threat of snails. 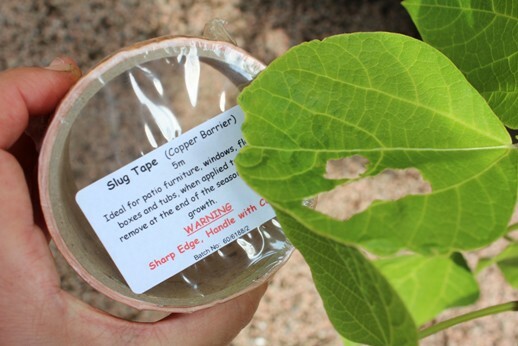 Even though I have invested heavily in copper snail tape I know I must remain vigilant – especially around my basil plants. One of the stall holders had a vast array of interesting herbs including at least 10 varieties of basil. Most of these I had never heard of and I was keen to try some of them out. I smelled them all and gave each one a little taste (when the stall holder wasn’t looking of course). The one that really stole my heart was Cinnamon Basil. It has a strong spicy aroma and it actually tastes just like cinnamon. I adore this herb! Never having used it before I wasn’t really sure whether you could cook with it or what other ingredients you could put with it. After lots of exploring I found some brilliant sites and recipes that I will try. 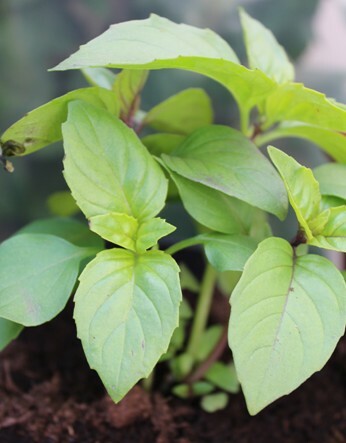 First of all Ramona Werst has an absolutely amazing website dedicated to her love of basil (and what’s not to love about basil!) 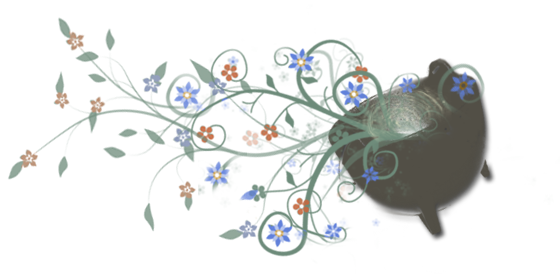 Please check out her site, Ramona’s Basil Garden here. 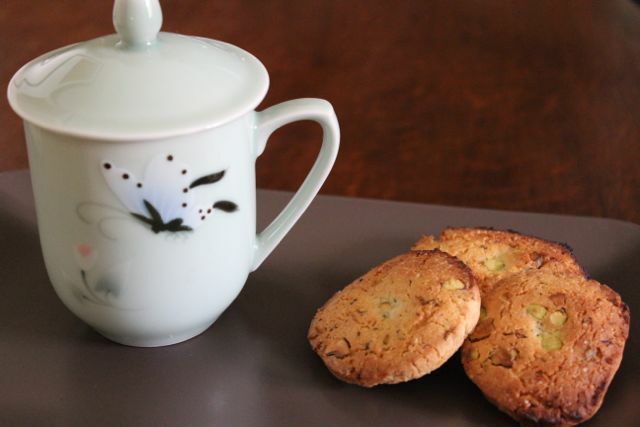 I fully intend to try many of her recipes but first on my list is her recipe for Cinnamon Basil & Lime Icebox Cookies. Another recipe I can’t wait to try is Steamed Mediterranean Mussels With Cinnamon Basil Ouzo And Feta Cheese from the i.food.tv website. My mouth is watering already. Last night I was in need of a quick and simple dessert. A forlorn looking cantaloupe was beginning to languish in the back of my fridge (thank you Dr. Weil for reminding me it was there). I had a few slices with plain Greek yoghurt and cinnamon basil on top. This was actually the first time I had used the basil so it was nice to have it in such a simple way. The flavour really came through – it’s actually quite addictive. Now I am looking forward to using the basil in all sorts of recipes. I will keep you posted! 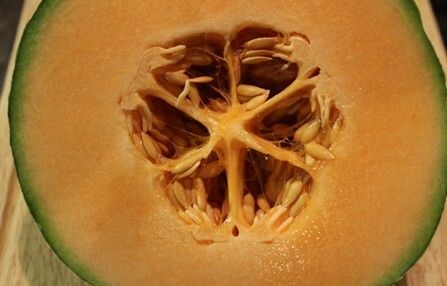 Oh and as for the cantaloupe seeds – I am drying them out alongside my apple seeds and will try growing them as well! 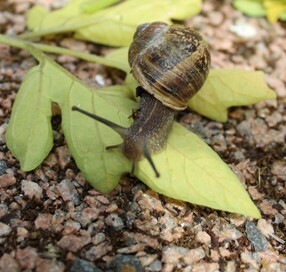 It may sound strange being a gardener who likes snails – but I do. I don’t want to kill them but over these past few weeks I have had to admit to myself that they are becoming a real issue. After a very wet weekend I finally managed to get out in the garden. To my dismay I was greeted by chewed up leaves, half eaten tomatoes and a million slime trails. Something needed to be done. Ok, so I didn’t don my wizard robes and brandish my staff but I did do the next best thing. I bought some copper tape. Apparently it gives snails and slugs a wee electrical zap and they quickly lose interest in tender young leaves and head for the hills. There are a wide variety of ways to control slugs and snails in your garden without resorting to harmful chemicals. Keep in mind that birds, frogs and other wildlife (including pets) could eat snails and slugs that have been poisoned. Dogs and cats have also been known to eat snail and slug pellets as they look very similar to their own kibble – that is very bad news for them and their owners. Metaldehyde is a common ingredient in many commercially produced slug / snail baits. It will not only kill the slugs and snails but it will also kill or seriously harm whatever eats them. In the UK there is also some concern that metaldehyde has been found in drinking water – but this is being downplayed. Why is this stuff still being used? I will not use chemicals in my garden. For the past 3 years I have been looking at different ways to safely keep snails away from my plants. I really believe in the importance of finding natural and environmentally friendly ways to control pests. O.k it may take awhile to find out what works for you but if you love your garden then isn’t it worth the time and commitment to work in harmony with it? Please feel free to share your own tips and techniques for dealing with slugs, snails or other garden pests. I would love to hear about them.